Each year, Salesforce users from across the globe come to San Francisco to participate in their annual conference Dreamforce. This year 170,000+ thought leaders, IT professionals and change agents came to learn, grow and connect. 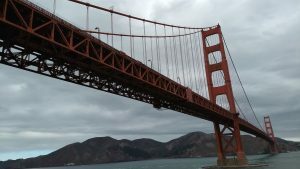 Salesforce.com is a Customer Relationship Management (CRM) product that works with businesses like Adidas, Amazon Web Services and Farmers Insurance through its cloud computing software. Their philanthropic side is Salesforce.org which is a result of their 1-1-1 model: 1% of their product donated, 1% of each employee’s time dedicated to volunteer work, and 1% of their financial resources (equity) to a those making a difference. This year, Impact Manager Celestino explored Dreamforce to learn how we as an organization can better use the tools and resources made available to us through Salesforce.org. Darting across San Francisco’s downtown, Cel attended sessions hosted by The Bill and Melinda Gates Foundation, Anti-Defamation League and United Way. As our Data and Systems Manager he took sessions like, “Become a Data Management Rockstar” and “Show me the Impact.” EOD collects a student survey and assessment from all students before and after our program. In these sessions, Cel learned data cleaning strategies and how to tell our data’s story. 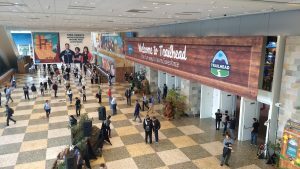 Salesforce wasn’t all info sessions; there were hands on trainings, guest talks from Michelle Obama and new product displays, all the things you’d want from the world’s largest technology conference in the best setting!